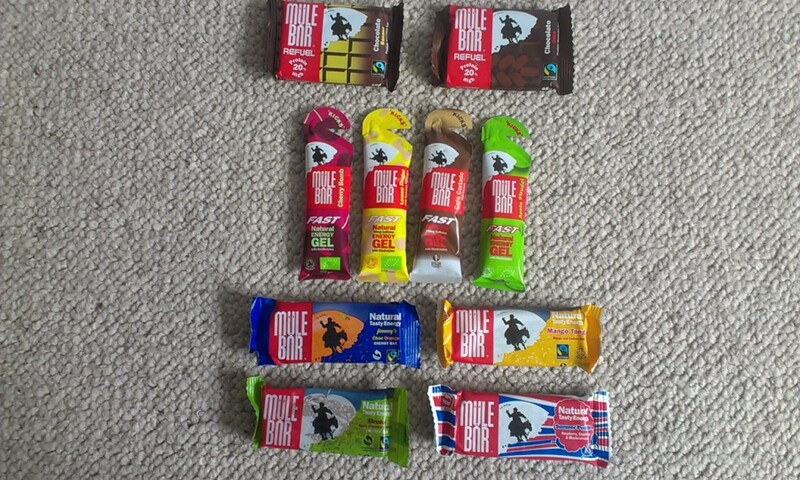 Always on the look out for products to fuel my running and recovery I recently came across Mule Bar products. Based in the UK (which I like) they produce a range of items including energy bars, protein bars and energy gels. Using natural, healthy ingredients the Mule Bar range is intended to provide the intended nutrition whilst tasting good. For recovery they produce a high protein bar in chocolate and date or chocolate and banana flavours, both of which are pleasant tasting and are great straight after a long run or hard training session. 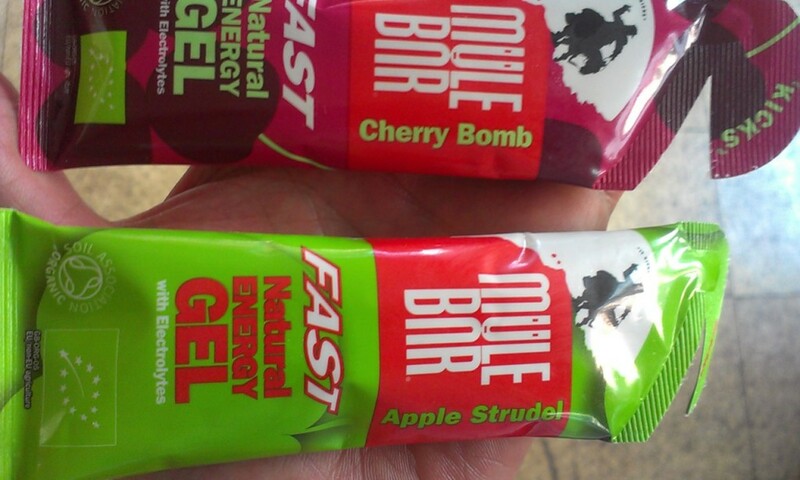 Mule Bar gels again come in an interesting range of flavours, two of which are standard non caffeinated plus one containing 50mg of caffeine. Then there is the daddy: the Cafe Cortado gel with a kicking 100mg of caffeine. This caught me out somewhat as the strong coffee flavour, thick gel and high caffeine wasn’t really what I wanted a couple of hours into a mountain run on a hot day. However I think that it would be ideal in other situations such as during the overnight low points on 24 hour rounds such as the Bob Graham or during the wee small hours on the High Peak Marathon. As with many gels these are best taken with a small amount of liquid to wash them down and aid digestion. So if you’re after a tasty, ethical energy product in a range of interesting natural flavours and which is made by a Britain company then give Mule Bar a try. Posted in Other, Reviews and tagged gels, Mule Bar, nutrition.